Australia is the first nation to experience the repercussions from climate change. The weather has changed permanently. A four day conference of Australian and New Zealand scientists met and the outcome was not good. "Climate fatigue" is when scientists keep telling the public what is happening and it is ignored. Politicians are the most harden anti-science group. They keep saying that climate change is not proven. Yet a premise in any other area is accepted as proved with less evidence. A letter signed by 150 scientists was sent to PM Malcolm Turnbull asking for something to be done. The letter was not even acknowledged. January was the hottest month ever recorded in Brisbane and Sydney. 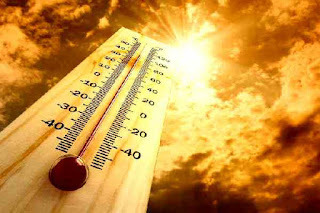 Heatwaves from now on will be record breakers. This is ominous. It means more bushfires. Ironically, we are not just getting extended dries. Floods are happening more often. There is a move toward weather extremes. The next epoch which has been created my Man has already got a name: it is called the Anthropocene.